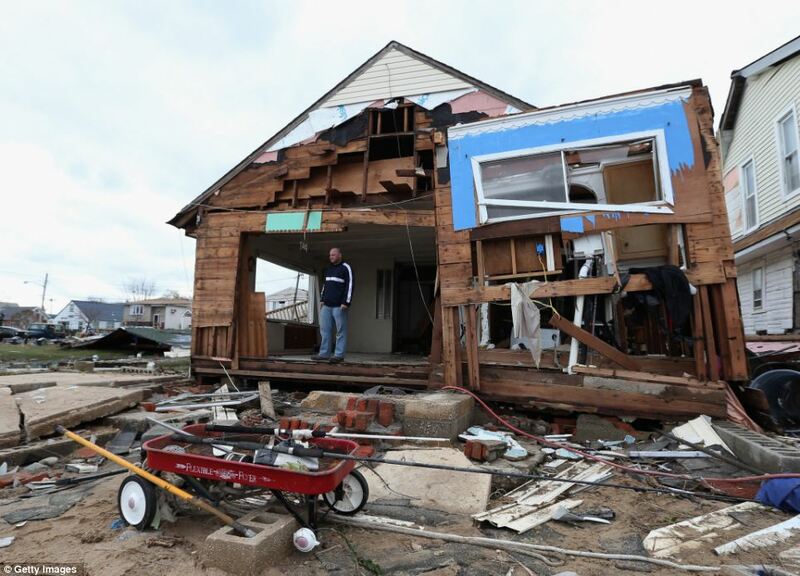 My heart is very heavy right now after Hurricane Sandy hit Long Island hard. Over 900,000 homes were out of power and there are still over 600,000 out of power. Trees are down everywhere, homes were destroyed and lives have been changed forever. First I want to let all of you know that we are ok, our home has no damage and our cars have no damage. We only lost power for 20 hours, so we were one of the lucky ones to get our power back up so quickly. But it truly is a war zone here. The National Guard and FEMA are here on Long Island already helping out. Plus Red Cross is here too. But some of my friends and local neighborhoods have been devasted. People’s homes exploded, house fires that couldn’t be put out because fireman were standing 5 feet in water to fight them and just couldn’t put them out with the winds. Fireman that had to walk away from homes and watch them burn. Our neighbor and very good friends across the street, the husband is a fireman and the stories are hard to hear. There is so much sadness, so much loss. My friend that lost everything, they have triplets and a 5 year old and they have nothing now. Thankfully they have lots of friends and family to lean on and stay with right now until they figure things out. Gas Stations are running out of gas and a lot of food stores aren’t up and running yet. It is crazy to think this happened to Long Island. We all know that we always think, “this will never happen to me”, well it did happen now. We all have to learn to be more prepared for the long haul. Stock those pantries with dry goods, have ice in the freezer, get propane for your BBQ, get extra gasoline for your vehicles, etc. So many things we all could have done differently. And most of all listen to what officials are telling you to do please. The media was telling everyone the right thing. If they tell you to leave your home, please leave. Don’t make fireman or others come and get you now in flooded areas that they might not be able to get to for days. We truly had no idea how bad this storm was going to be. But next time I know I will be even more prepared then I already was. We had gas and food and ice, but we could have had more in place just in case we needed it. We were lucky this time, maybe next time we wouldn’t be as lucky. God forbid of course. New Jersey got hit soooo much harder then Long Island. This just doesn’t seem like reality at all. My thoughts and prayers go out to everyone that was affected by this storm from the start of it in the south to the end of it up north. We will rebuild, we will!!! Lots of hugs to everyone out there that was affected. Thanks for listening to me today everyone. I’ll be back next week with some decorating posts hopefully. I have to put some posts together. After all of that destruction, Mother Nature gave us a double rainbow in our town. See the second rainbow, just to the right of the other one. It’s faint. Hug your families tighter and be kind to your neighbors. We all need to pull together and not fight with each other over gas. Please take a deep breath and be patient at this time. This is a scary time and we all need to do what is right. We will get through this and we will help each other get past this. Thanks everyone!!! Be safe and have a great day!!! Thank you Latoya. Prayers are always needed in this time. We are thankful to have power and no damage to our property. We were blessed. Nice article and great knowledge. Thanks for the share. I love this story and enjoy with your words!